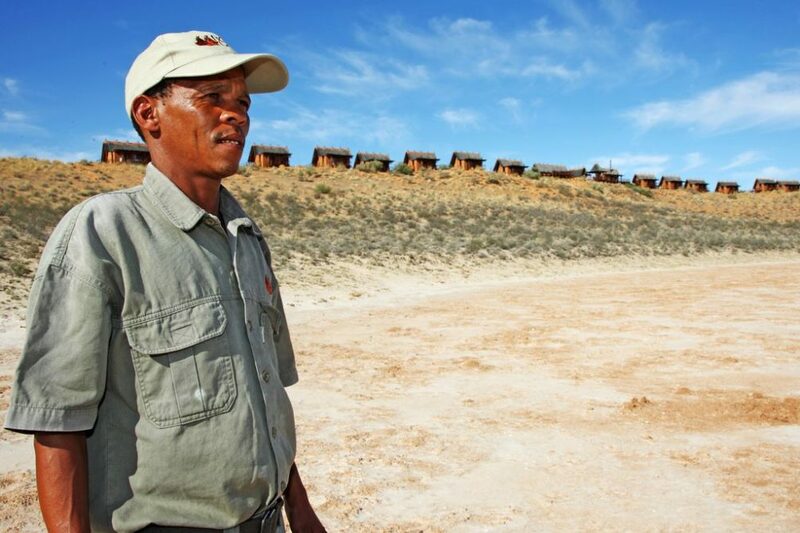 South Africa’s first peace park, known as the Kgalagadi Transfrontier Park was formally established in May 2000. It stretches across the South African and Botswana border encompassing a 35 551 km2 ecosystem that is home to nomadic ungulate populations and their predators. Also living here amongst the red sand dunes are two of the planet’s oldest communities known as the Mier and ‡Khomani San. 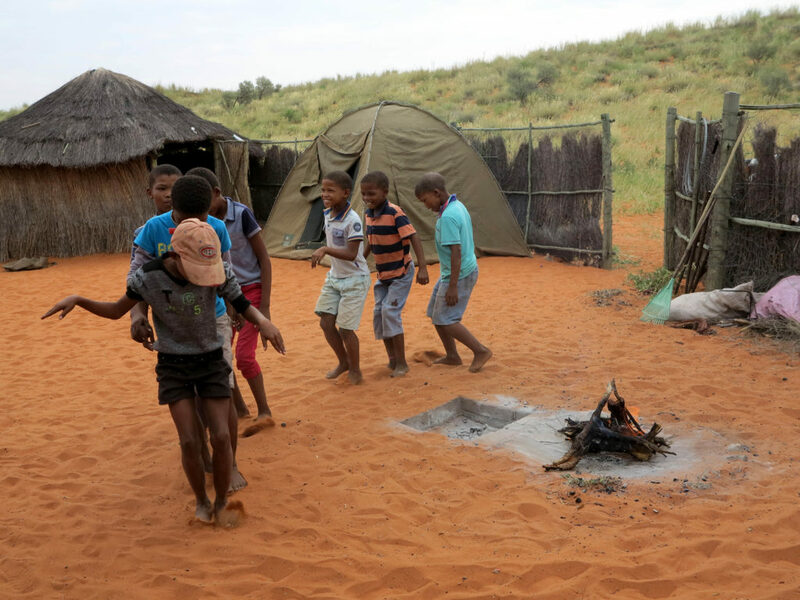 They are some of the last remaining original people of South Africa’s Kalahari Desert. Historically living as hunter-gatherers, these communities are expert trackers and are known for their ancient and deep understanding of maintaining a balanced approach when living off the land. For many years, a lack of resources hampered opportunities for the ‡Khomani San to fully utilise their reclaimed land for economic development. “In 2013, Helderberg Sunrise Rotary Club and 50 Rotary Clubs in Germany, with support from the German Federal Ministry for Economic Cooperation and Development and the Rotary International Foundation, designed a project that sought to give the ‡Khomani San a chance to live in peace, freedom, dignity and economic independence while retaining their unique cultural identity,” says Dr Carl-Heinz Duisberg, Chair of the Rotary Steering Committee. Funds raised enabled the establishment of a committee that would oversee development in the area. This was an important first step as the committee ensured accountability in the use of donor funding. It consists of key stakeholders such as the Rotary Club of Helderberg Sunrise as the donor representative, a community governing body that serves as the custodian of community assets, and Peace Parks Foundation as the implementing agent. 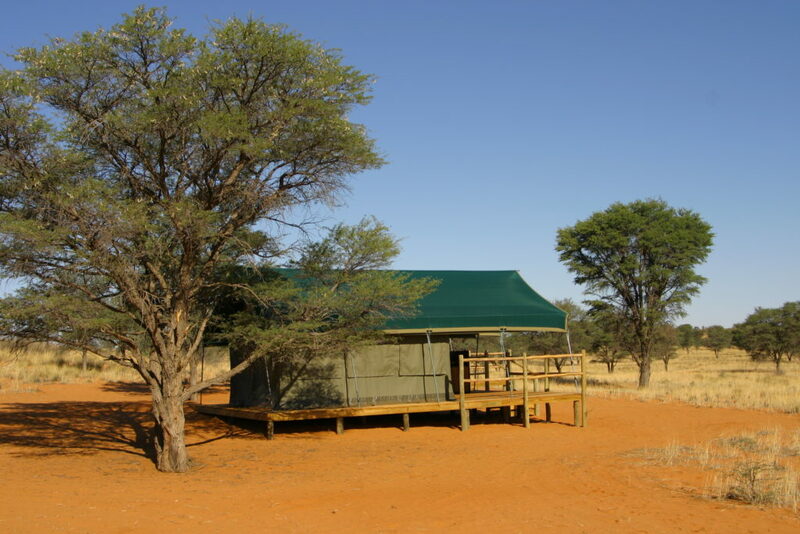 The Erin Tented Camp offers accommodation for 12 people in six tents. The camp overlooks a waterhole where wildlife can be spotted. Self-catering facilities are found at the outdoor braai area and communal kitchen and the two ablution blocks offer hot showers. 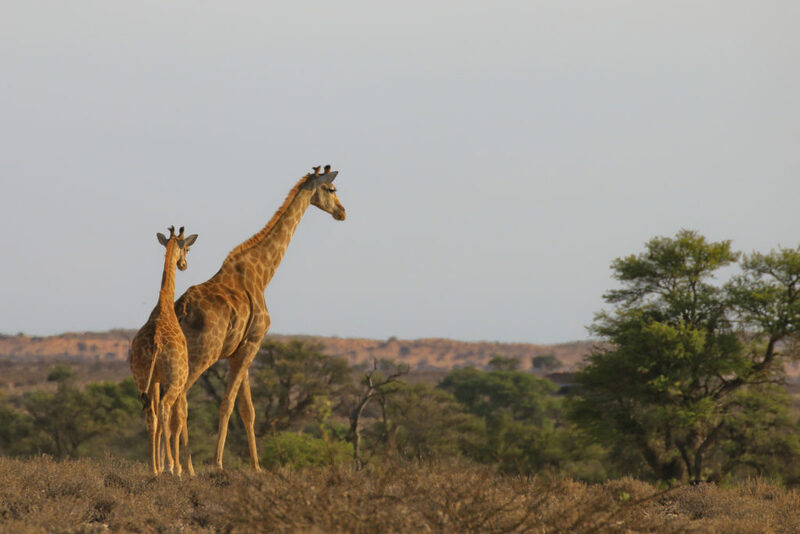 The Erin Game Ranch has several well-adapted game species such as Zebra, Oryx, the famous Kalahari Springbok, Red Hartebeest, Blue Wildebeest, Steenbok, Camels, Giraffe, Ostrich and Eland. The ranch operates through an approach of sustainable use of wildlife based on the ‡Khomani San traditional survival strategies, as well as an eco-tourism offering during the seasons in which the animals breed. The ranch is deeply rooted in the culture and values of the ‡Khomani San, who are legendary trackers and hunters, and visitors are welcomed into their circle of traditions. “Erin has been an extremely successful project and has been fully booked since 2016 with many repeat visitors. Plans have already been designed to set up another game ranch which we hope will be as successful as Erin,” says the Administrative Manager, Helena Steenkamp, a member of the community. In 2017, following a successful presentation at the new World Heritage Sites adjudication in Poland by Dirk Pienaar, one of the ‡Khomani San community members and a Tourism Officer at Erin Game Ranch, the ‡Khomani Cultural Landscape was recognised by UNESCO as the 9th South African World Heritage Site. Oupa Jan, an active community member emphasises the importance of protecting the cultural heritage through education. He says, “For me it is very important that the younger members of the community learn the culture and where we came from because we are the last remaining people who live here in harmony with nature.” There are currently two cultural training programmes established, the Veld School and the Imbewu Camp, where children learn about their ancestors, traditional arts and medicine. They are taught about the veld, various animals that live in the area and how to track these in the field. This type of training will go a long way in protecting the ‡Khomani San history and ensuring a sustainable future for the children who grow up here. Kids dancing at Imbewu veld school: A local teacher, Tannie Lys, leads Veld School children in a traditional dance while others on the sidelines beat worn animal skin drums. In 2018, a new Communal Property Association (CPA) committee was elected by the community. The CPA is responsible for serving the needs of the community, as well as protecting the ‡Khomani San assets. According to Andre Steenkamp, Vice Chairman of the CPA, members have committed to be transparent and ensure that donor funding is utilised for the betterment of the community. “For me it seems as if the winds of change have reached the Kalahari. Due to the commitment of many people involved, we have achieved a lot as is evident in the development that has taking place thus far. We are confident in the future of the ‡Khomani San and we look forward to working with them for many years to come,” concludes Dr Duisberg.